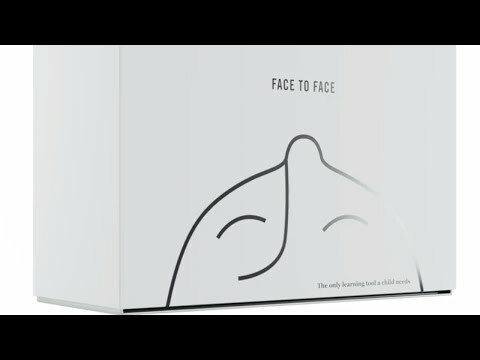 With a "Breakthrough Tool," created out of Mono, it touts a brilliant "interactive tool that can increase your baby's vocabulary by hundreds of words per week, with the most advanced, 360-degree facial recognition system, beautiful in its simplicity and intuitiveness and completely wireless." The camera lingers on a stark, white box sitting against a stark, white backdrop, cutting to a baby's inquisitive face. Finally, we see a woman, with smartphone in hand, place her device inside the box. Turns out, it's promoting not a gadget, but you, dear parents. "Say hello to the most advanced breakthrough teaching aid for babies ever--you," the V.O. explains. The spot is Mono's latest for Children's Hospital of Minnesota, and directs viewers to amazingis.com, where parents can find tips on creating fulfilling interactions with their children. The campaign promotes parental involvement in childhood development, especially crucial in the early years from the ages of 0-5.